The M23 Battle is one of the latest rim styles to hit the market. 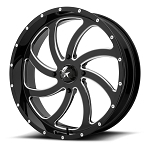 It's flat black finish and bold styling really set this rim apart from the rest. MSA is making this rim in 4 sizes for now. 12x7, 14x7, 14x10 and 18x7. 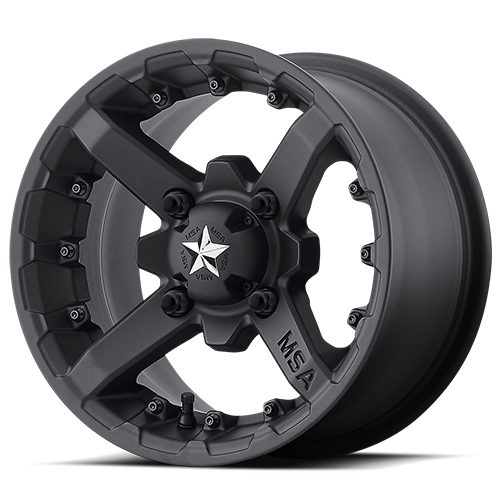 MSA has really taken ATV & UTV wheels to a whole new level with the release of this new rim! 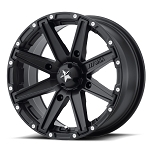 Set your ATV or UTV apart from the crowd with a set of the new M23 Battle wheels! - Lug nuts and center caps are included with all of our MSA wheels. Great customer service, fast shipping and they look GREAT on the machine. 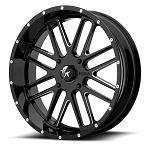 Q: I have a 2015 570 sportsman, will these MSA rims fit? Thank you! 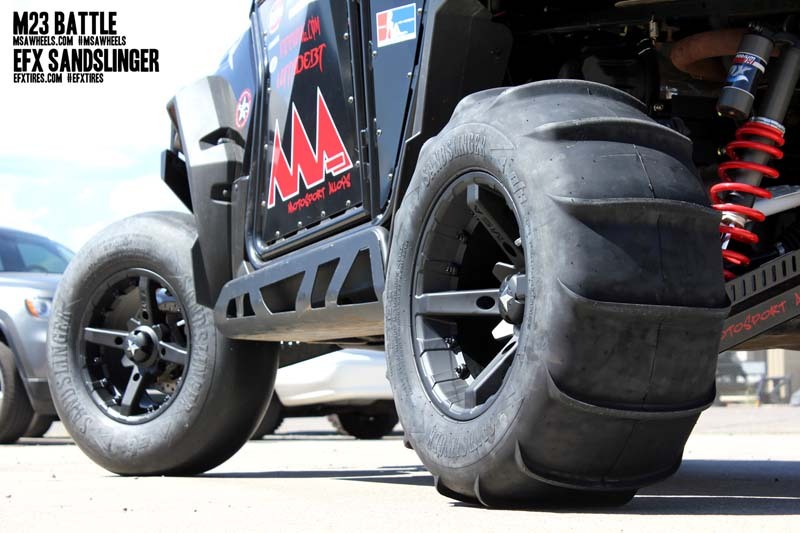 A: You can mount a 10 or a 12 inch wide tire onto a 7 inch rim. The 12 inch wide will be more rounded so the 10 inch is a better fit but both will work.